The highlight of this issue has to be DAVID THIBODEAU’S MARTINI MUSTANG REPLICA! David shows us how he created this fantastic replica. I finally finish the Gilmore Tanker project. 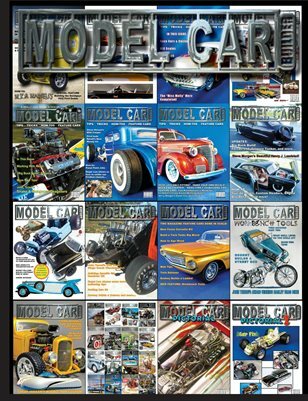 The box stock build for this issue is Revell's T-Bolt. There's a special edition of Web Tips where we focus on some workbench tools. We show you some cool things we found on the web. Then there's FIVE pages of NNL West coverage. Don't miss this special number 30 edition of MCB! !